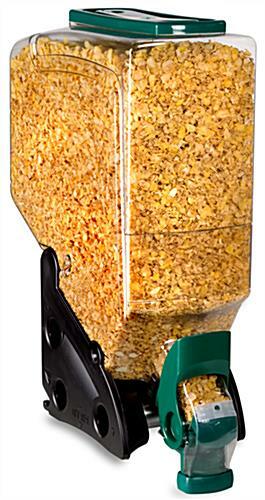 These bulk food dispensers store and display (12) gallons of dried produce. 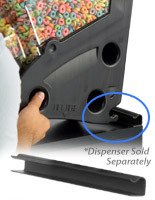 Each of these containers is fabricated from clear polycarbonate that is dishwasher safe and 35 times stronger than acrylic plastic. 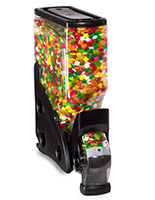 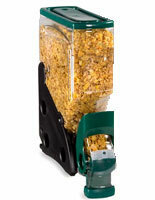 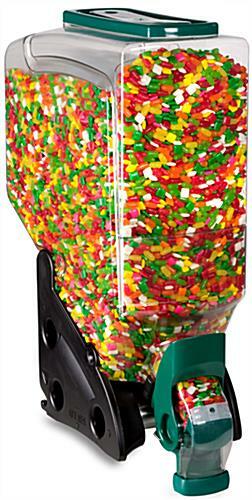 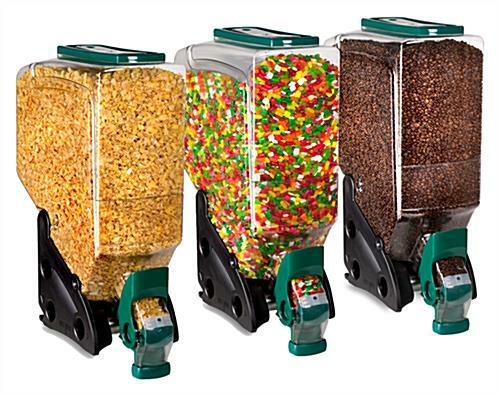 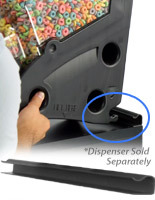 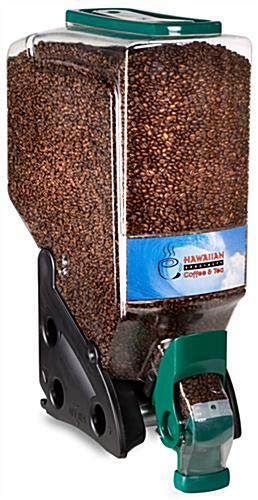 These attractive bulk food dispensers feature green accents and a clear body that displays beans, grains, cereals, pasta, nuts, candy, and more for customers to see easily. 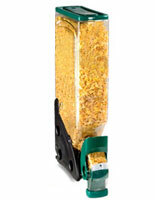 The gravity bins include four different flow controls and have a 9" x 4" label holder. 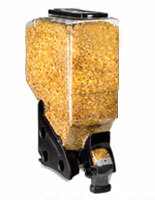 These crack and UV-resistant bulk food dispensers include a false front section that makes the bin always appear full. Keep your dry goods area clean and organized with one of our gravity bins!